You may recall the Hollywood production of "The Omen" with all its creepiness. The spooky expert with the knives declaring that the Gregory Peck character must "Keel Dandy Christ!" (Kill antichrist) Just as I said that we cannot draw our theology and doctrine of Satan from Dante's "Inferno", neither should we glean our understanding of the Antichrist from Hollywood productions. John is addressing "little children" or new Believers. He lets them know we are in the "last time" and the antichrist shall come. This epistle was written many centuries ago, yet we are still in the "last time". He continues to say, "even now are there many antichrists; whereby we know that it is the last time." Many antichrists? Indeed! 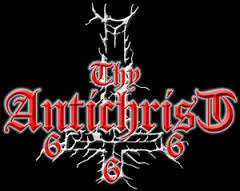 Antichrist is a term used as addressing a deceiver. One who is deceiving the masses into believing that they are the one to whom they should listen and follow. They will call upon God, His Son Jesus Christ and proclaim the power of the Holy Spirit. Yet they deceive! There are many of them, just as John has warned. They are proclaiming Jesus Christ, yet they are promoting themselves. As John the Baptizer (he wasn't a "Baptist", he was a Jew) said, "I must decrease, that He (Jesus) may increase." Beware of any orator who proclaims to have special power and insight to Christ and puts conditions on his followers. Satan appears as an angel of light. These antichrists are leading the ignorant to follow them instead of following the true Light of Jesus Christ. They are leaders of denominations who proclaim their denomination is "the only way." They have been aided and abetted by modern media avenues to spread their heresies. Yes, my dear brothers and sisters in Jesus Christ, they are featured regularly on "Christian Television" and radio. There are many antichrists among our number. There are those who are promoting "Muslimianity", that the two are comparable to one another. This is great deception and is becoming more prevalent each day. They are antichrists. Little children, take heed my warning. Do not be deceived! Antichrists desire you be lead astray, away from Jesus Christ. Antichrist will use the Scriptures to deceive in the same manner Satan used in the Garden of Eden and during the temptation of Christ. It is my prayer that all will be diligent to come to a full understanding of the Scriptures that we not be deceived by the wicked one and his agents of destruction...the antichrists. Yield to the Holy Spirit of God, that He may guide you past these myriad deceivers who walk among us. Remember: If it is not of grace, it is not of God.